The wealth of genomic data available for many organisms has set the stage for the next phase of structure—function analysis. High-throughput structural genomics is currently the method of choice for rapid analysis of protein structure—function relationships on a proteome-wide basis. 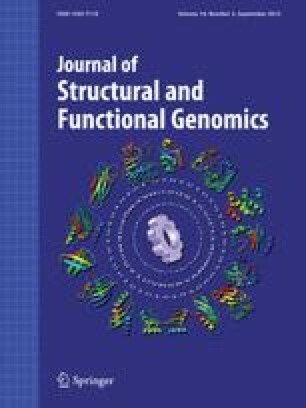 The Joint Center for Structural Genomics (JCSG), established in 2000 under the NIH/NIGMS Protein Structure Initiative, has developed and implemented an integrated high-throughput structure pipeline and applied it in a 2-tiered approach to mining the proteome of the thermophilic bacterium Thermotoga maritima. In the first tier, the successful application of this integrated pipeline has resulted in the cloning and expression of 73% of the T. maritima proteome (1376 out of 1877 predicted genes), and has identified 465 proteins which produced crystal hits. These 465 proteins were compared with existing structural information and a subset of 269 targets were selected to process towards structure determination in a second tier effort. To date, the JCSG pipeline applied to the Thermotoga maritima proteome has resulted in 55 new structures and has identified 6 novel folds and continues to identify structures with novel features.